Folding out map, 39 b/w illustrations. 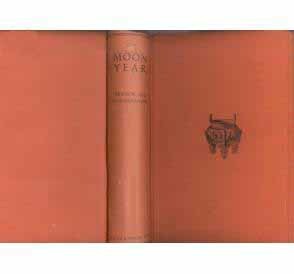 The Moon Year is an attempt at recording the mysterious and somewhat elusive traditions of the Chinese. Juliet Bredon and Igor Mitrophanow trace their way through the intimate life of the society, their religions, their superstitions, their philosophies, and customs. 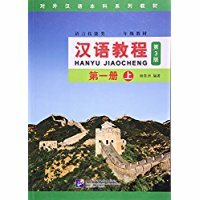 Only after a year’s residence in China are they able to gather a much more intimate perspective on this age-old civilization that has withstood the test of time. Bredon and Mitrophanow attempt to unravel some of the puzzles that surround this fascinating culture, through describing in detail the everyday beliefs of the Chinese people and the festivals of their ‘Moon Calendar,’ used as a diary of daily happenings. Bredon and Mitrophanow also explore the changing traditions throughout the great country. Where one festival is celebrated in one village, the same festival may have died out centuries ago in another. The ‘great festivals’ are often observed everywhere, but others, no less interesting and no less important to Chinese culture, are unique to certain provinces and districts. As so many of these superstitions and celebrations are fluctuating and even dieing out, it becomes important to make a strong record of these aspects of Chinese tradition before they die out completely. As the original printing of this book was in 1927, many of these rites may no longer exist, further emphasizing the importance of Bredon and Mitrophanow’s work. Much of the material for The Moon Year was gathered first-hand from people they met along their journey, as well as from rare Chinese books and texts, resulting in a refreshingly honest exploration of a great civilization. New Hardcover 16*24 cm, 534 pp. Condition: Used, Original orange cloth, slightly stained on the spine. Overall very good condition.